The 1880s were a watershed decade for Chinese residents of the United States. The 1882 Chinese Exclusion Act outlawed Chinese immigration, deeply affecting the lives even of those Chinese who were already living here. 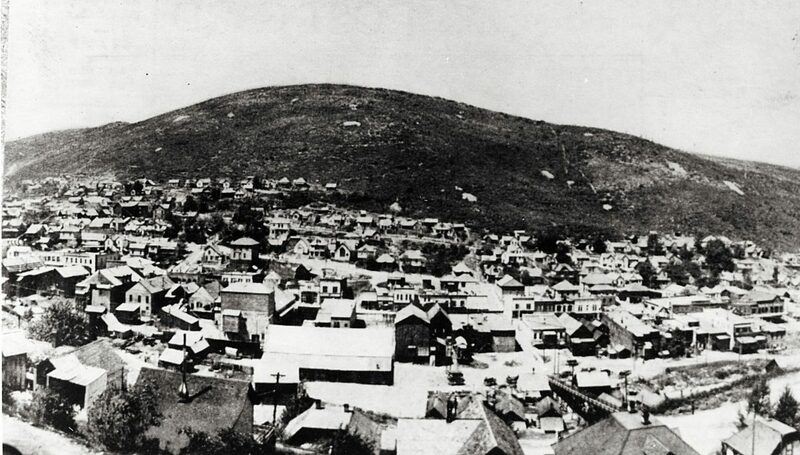 In 1885, a riot between Chinese and white immigrant miners in Rock Springs, Wyoming resulted in the deaths of twenty-eight Chinese miners and the equivalent of $4 million of damage against Chinese property. In the following years, most mine companies throughout the West fired Chinese miners and instituted official or unofficial policies banning Chinese from working underground positions. Park City followed suit. In its early years, the town boasted a large and thriving Chinatown. By 1893, Chinese residents numbered between three and four hundred, about ten percent of the town’s population. But Park City’s white residents were not always kind. The local newspaper was full of reports detailing the townspeople’s abuse toward their Chinese neighbors. Countless fights or instances of bullying were only casually mentioned in the Park Record’s pages amongst birth announcements and society updates. Children and drunks were often caught throwing rocks at Chinatown homes and businesses. The Marsac Company even funded a bridge built over Chinatown so that the townspeople walking east from Main Street to Rossie Hill need not pass through the Chinese neighborhood. This bridge is where today’s China Bridge Parking Garage gets its name. Barred from most work within the mining industry, many Chinese instead made ends meet by running laundries or restaurants, or working as boarding house cooks and servants. But in 1903, local labor unions campaigned to boycott Chinese-owned businesses and white-owned businesses with Chinese employees. In an effort to tug at the heartstrings of Parkites, the unions invoked the plight of local white widows. There were allegedly ninety-eight widows in town who were “dependent upon public patronage for support.” Parkites had a choice, the unions claimed, of supporting the businesses these widows owned or worked at, or patronizing their Chinese-owned competition. “Shall the widows famish while the heathen Chinese feast?” The unions asked. By the 1920s, only three Chinese families remained in Park City: the Thon family, who operated a laundry; and the Mon and Chong families, who each operated restaurants. After World War II, even these families had left, citing better opportunities elsewhere. What little physical evidence of Chinatown that remained has since been demolished. The Park City Museum’s current traveling exhibit, The Way We Worked, part of the Smithsonian Institution’s Museum on Main Street initiative, explores the history of work in America, including discriminatory labor practices. A local component, designed by Museum staff, enriches the content of this nationally-focused exhibit by presenting stories from Park City’s own labor history. Come explore the contributions workers made to this town and its development. Join us Wednesday, Dec. 13 at 5 p.m. for a presentation on the historical and archaeological legacy of Utah’s Chinese residents, given by Utah historian Chris Merritt. This lecture will be at the Museum’s new Education and Collections Center, at 2079 Sidewinder Ave.